The saga of whether or not Mark Ruffalo would be joining almost the entirety of the Marvel Cinematic Universe in Civil War has been long and tumultuous. First, Robert Downey Jr. apparently asked Ruffalo to be in on the fun. Then it was happening. Then it wasn’t—and yet rumors persisted. Turns out there was some truth to them though. Mark Ruffalo shot no scenes. We talked about having Bruce Banner at the very end of the film, and it just, again, seemed like we’re sticking people in just to stick them in. He has clearly gone somewhere at the end of Ultron, and that’s a story. Don’t blow it off and put it in a little tiny chunk just to put in a little extra filigree on our movie. That’s a story. There was a draft with a stinger of him in it. But that was long ago, and reports of him actually filming stuff — the unit publicist on the movies [John M. Pisani] looks a lot like Ruffalo, so when people say, ‘Hey, he’s in Berlin dancing with Anthony Mackie,’ it’s John Pisani. It’s not Ruffalo. But who knows in the oft-secretive world of Marvel movie making. More often than not, we get two stingers at the end of a movie. Could Marvel simply have saved Bruce Banner’s appearance for a stinger not shown to press at the recent screenings of the movie? Our own Germain Lussier, who attended the press event, spoke to Kevin Feige about Civil War having a bonus stinger for its theatrical release on top of the one shown to press—and couldn’t get more than a knowing smile from the Marvel producer. 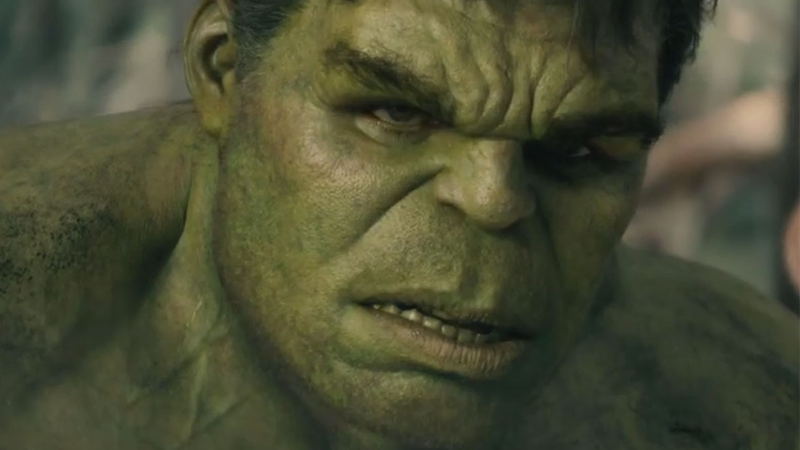 So don’t count on it as a certainty, but there might just be a Hulk-shaped surprise at the end of the movie.